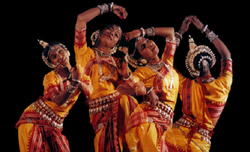 Intensely Soul: Transformational Odissi Indian Dance & Music by Nirmal Jena and Pratibha Jena Singh will be presented in Canberra, Sydney, Melbourne and Brisbane between 15 Sept and 7 Oct. The Melbourne performance will be held on 29 September, 7-9pm, at the Music Auditorium, Building 68 Monash University Wellington Road, Clayton and a workshop on 30 Sept 10.30am-12.30pm at Monash but in the adjoining Drama Theatre. The Melbourne Indian community is invited to support this rare arts event by attending the performance, participating in the workshop and promoting both among their networks. Intensely Soul will leave you feeling inspired and energised with powerful and poignant dance and music. Your support will make all the difference in terms of creating a buzz and enabling those who enjoy high order art to experience something that is truly out of the ordinary.